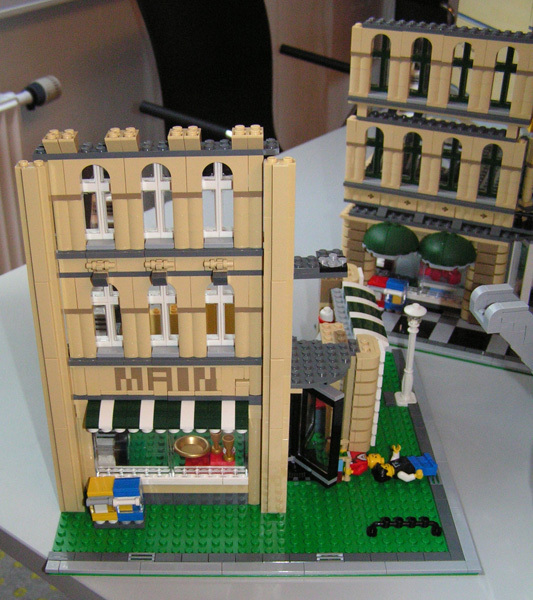 Brick Town Talk: Demonstration - LEGO Town, Architecture, Building Tips, Inspiration Ideas, and more! 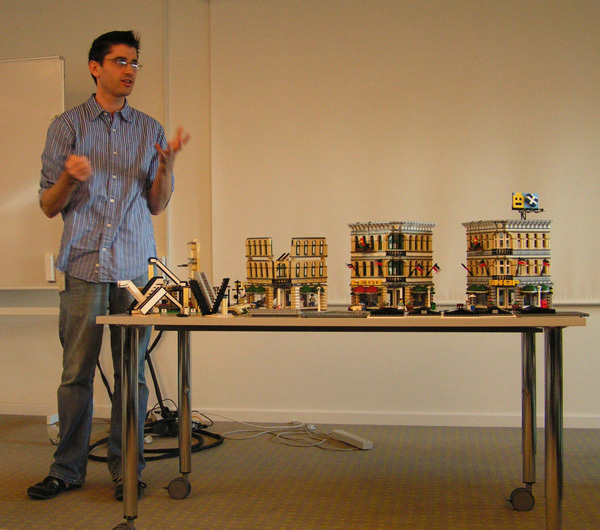 Check out the pictures of Jamie Berard giving a talk about The Grand Emporium. From Holodoc's gallery. i would love to listen to jamie telling the story of his creation! I actually think the white windows would have looked better. On the other hand, it is pretty cool to have those windows in a new color (dark green).